Lisa Rushka is an accredited public relations practitioner with more than fifteen years’ experience in private, public and not-for-profit sectors. Lisa started her consultancy in 2005, and caters to a broad range of clients to build brands, introduce companies to new markets, increase awareness and engage the public. Before branching out on her own, Lisa was a consultant with NATIONAL Public Relations, where she provided public relations counsel to clients representing many industries. Key clients included Alberta Cancer Board, Imperial Oil, EnCana, Enbridge, City of Calgary, Ivanhoe Cambridge, Toyota Canada and numerous pharmaceutical companies. Before joining NATIONAL, Lisa was responsible for communications at Calgary Vocational Services (now Prospect Human Services), where she planned and implemented external and internal communications for this private, not-for-profit organization. Lisa’s Bachelor of Commerce degree (University of Saskatchewan) and her Certificate of Public Relations (Mount Royal College), combine to provide a unique combination of business savvy and practical public relations knowledge. The APR (Accredited in Public Relations) designation recognizes personal achievement, experience, and competence in the field of public relations. An active member of the Canadian Public Relations Society, Lisa chaired the national nominating committee from 2006-2009 and continues to participate by volunteering as an accreditation examiner. She currently sits on the PR Advisory Committee at Mount Royal University. Shannon joined Momentum in the spring of 2013 as senior consultant. 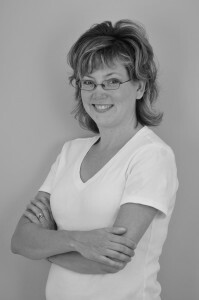 Shannon’s extensive career in advertising brings a unique perspective to clients and strong project management skills..
Shannon began her career as a copywriter at a well-known Calgary advertising agency. Her years of experience writing copy that sells honed her ability to get inside the hearts and minds of the audience. While in the creative department at the agency, she planned and executed many successful campaigns and built exciting brands for financial institutions, fast food chains, retailers and entertainment destinations. Understanding audiences and researching facts is how Shannon helps her clients focus on tactics and craft strong messages that support their brand and business goals. Her strategic, big-picture approach to planning ensures that tactics are selected based on their ability to motivate the audience and achieve desired results. Shannon’s background includes a Bachelor degree (Brandon University), a myriad of continuing education courses and workshops, and a number of industry awards.